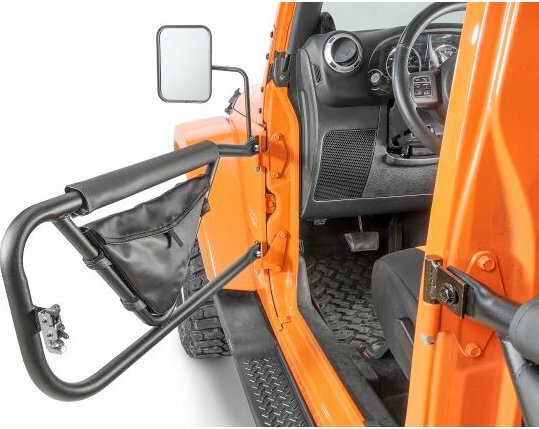 Leave your full doors at home and install these for the sense of freedom of going door-less. 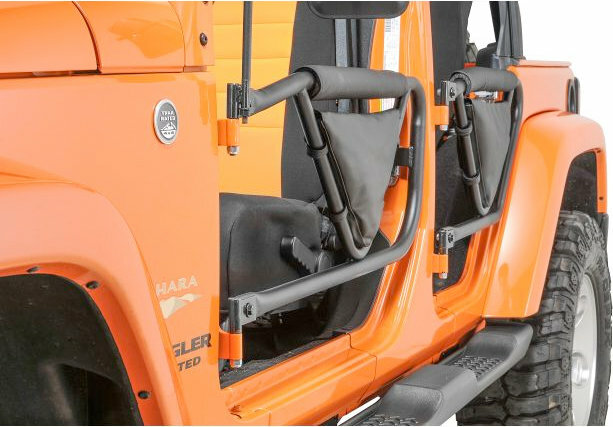 Safari Doors provide a place to rest your arm and offer the perfect solution to where do I put my cell phone, sun glasses, map, bottle of water. 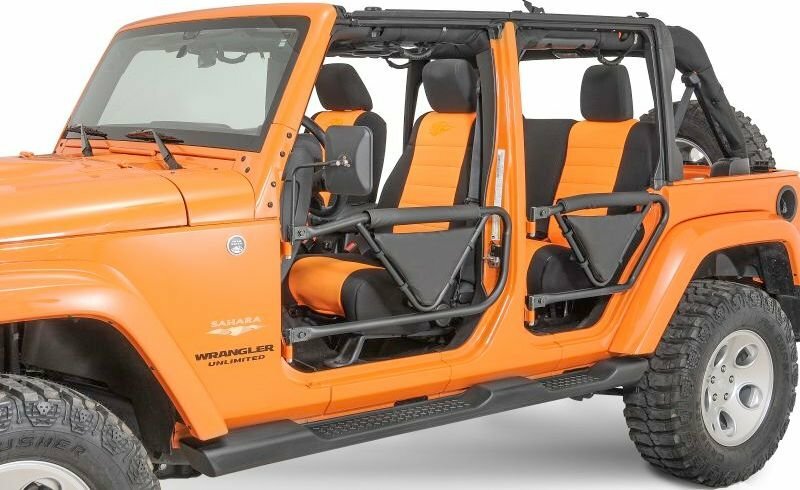 Designed to enhance your off-road experience by increasing your visibility for easier technical maneuvering. Installs without drilling. Keep it legal by easily installing the Safari Mirror package from Olympic. These mirrors are sold in pairs and come in Rubicon Black finish. 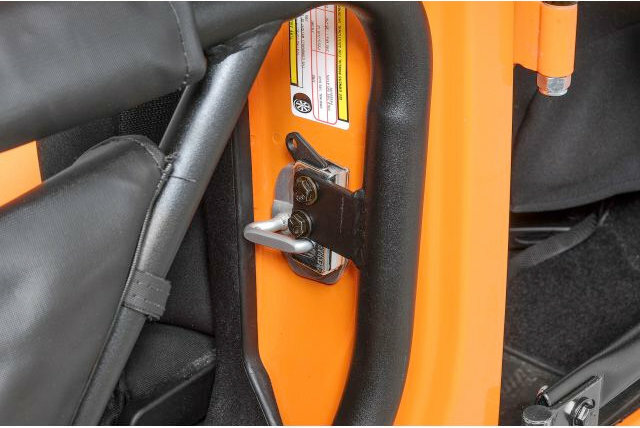 Installation is simple and all hardware is included.